Mango Seed oil has a treasure-house of nutritional benefits including antioxidants, fatty acids and other health-supporting components. It is an excellent choice for skin care preparations aiding in hydration, elasticity and sun-protective qualities. 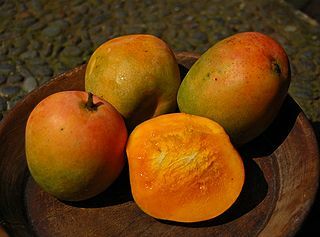 Mangos have long been coined as the “Food of the Gods.” It is no wonder the heart of this fruit has so many heavenly, healing properties. Fatty acids in Mango Seed oil Fatty acids are needed for the body’s health and play a key role in skin care. They act as elemental building blocks in the lipid layers of the skin, thus retaining the skin’s moisture. Essential fatty acids is a term given to fatty acids that are not produced within the body, which are necessary for cellular health. Linoleic acid, for example, is classified as an essential fatty acid and contributes to healthy hair, skin and wound healing. A deficiency of linoleic acid or other fatty acids can lead to dry skin and a compromised skin barrier function. Conversely, linoleic acid supports sunburns and even mild cases of acne vulgaris by accelerating the regeneration of the skin barrier. 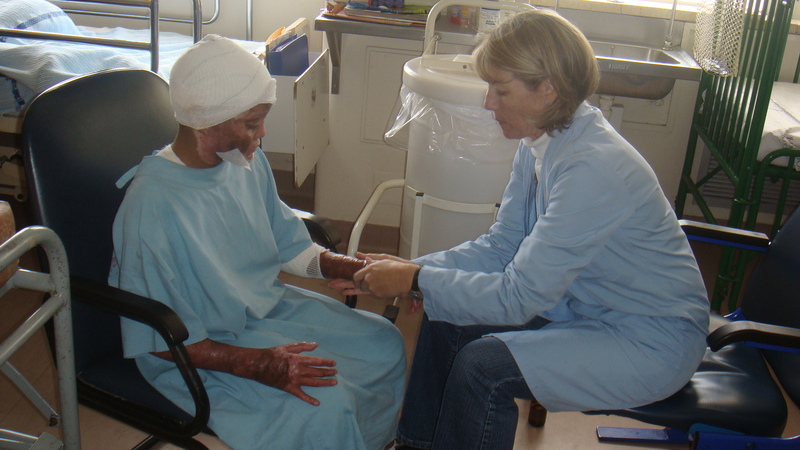 Through integrated skin conversions, linoleic acid is responsible for tissue hormones that contribute to immune response, allergic reaction counteracts, anti-inflammatory action and wound healing support (Lautenschlager, 2003). Youthful skin is smooth and plump, in part from healthy, hydrated cells. Fatty acids maintain the integrity of cellular walls which allows the transference of waste and water. Topical application of products containing essential fatty acids have been shown to benefit dry skin conditions, psoriasis and atopic eczema (Price and Price, 2008). To read the full article including Kc’s recipe for a protective “Sun Balm” see the Summer 2013 issue of the International Journal of Professional Holistic Aromatherapy (IJPHA-Vol. 2, Issue 1). Visit http://www.ijpha.com to subscribe. 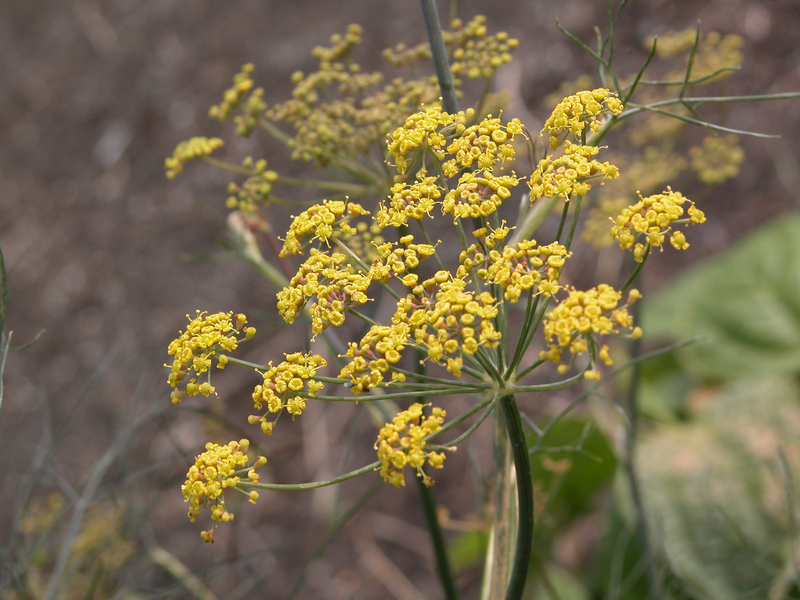 The essential oil extracted from the seeds of dill (Anethum graveolens L.) was demonstrated in this study as a potential source of an eco-friendly antifungal agent. To elucidate the mechanism of the antifungal action further, the effect of the essential oil on the plasma membrane and mitochondria of Aspergillus flavus was investigated. The lesion in the plasma membrane was detected through flow cytometry and further verified through the inhibition of ergosterol synthesis. The essential oil caused morphological changes in the cells of A. flavus and a reduction in the ergosterol quantity. Moreover, mitochondrial membrane potential (MMP), acidification of external medium, and mitochondrial ATPase and dehydrogenase activities were detected. The reactive oxygen species (ROS) accumulation was also examined through fluorometric assay. Exposure to dill oil resulted in an elevation of MMP, and in the suppression of the glucose-induced decrease in external pH at 4 µl/ml. Decreased ATPase and dehydrogenase activities in A. flavus cells were also observed in a dose-dependent manner. The above dysfunctions of the mitochondria caused ROS accumulation in A. flavus. A reduction in cell viability was prevented through the addition of L-cysteine, which indicates that ROS is an important mediator of the antifungal action of dill oil. In summary, the antifungal activity of dill oil results from its ability to disrupt the permeability barrier of the plasma membrane and from the mitochondrial dysfunction-induced ROS accumulation in A. flavus. Copyright: © 2012 Tian et al. This is an open-access article distributed under the terms of the Creative Commons Attribution License, which permits unrestricted use, distribution, and reproduction in any medium, provided the original author and source are credited. Funding: This work was supported by the National Mega Project on Major Drug Development (2011ZX09401-302), the Commonweal Specialized Research Fund of China Agriculture (201103016), the Key Program of Natural Science Foundation of Hubei Province of China (2010CBB02301), and the Fundamental Research Funds for the Central Universities (20103010101000185). The funders had no role in study design, data collection and analysis, decision to publish, or preparation of the manuscript.